The Wildlife and Countryside Act 1981 protects certain species from disturbance, injury, intentional destruction or sale. These include seabirds, dolphins, whales, basking sharks and porpoises. The European Habitats Directive and the national Regulations that implement it provide similar protections for ‘European protected species’. These include dolphins, porpoises and whales. Some habitats and areas of the sea have special protection. These include marine Special Areas of Conservation, marine Special Protection Areas and Marine Conservation Zones. 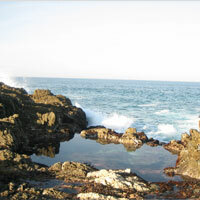 Go to the Marine Protected Areas page for more information. making sure that activities that permanently affect waves, tides and currents do not have a negative effect on marine ecosystems. This includes things like flood protection, wind farms and navigation. In order to comply, the government first had to assess the state of UK seas and set detailed standards deciding exactly what counts as good environmental status. It then had to introduce monitoring programmes. Finally, it introduced a programme of measures for achieving good environmental status. You'll find details these assessments in the Related Links box (at the top of this page). This Directive covers estuaries and the coastal sea going out 1 nautical mile (3 nautical miles in Scotland) as well as inland waters such as lakes and rivers. For estuaries and coastal waters, it requires member states to aim to achieve good ecological status and good chemical status. This involves meeting standards for plant and fish and communities, as well as things like pollutant concentrations. In some situations the government can set lower standards (known as ‘objectives’). The government must produce and implement river basin management plans aimed at achieving the objectives.